Product #60656 | SKU 6-232 | 0.0 (no ratings yet) Thanks for your rating! The Cinegears Ghost-Eye MiniV Quick Plate with 2-Pin Lemo Cable is a low-profile power solution for your Ghost-Eye wireless equipment. 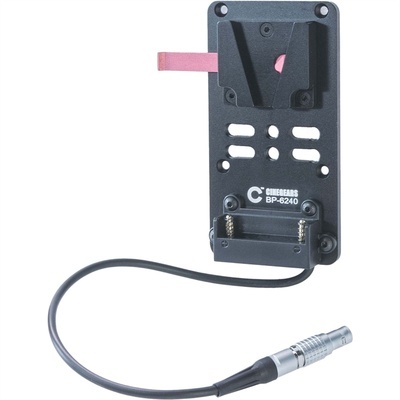 The Cinegears Ghost-Eye MiniV Quick Plate with 2-Pin Lemo Cable is a low-profile power solution for your Ghost-Eye wireless equipment. The MiniV Quick Plate takes V-mount batteries and uses the integrated 2-pin Lemo cable to provide power without requiring adapter cables.